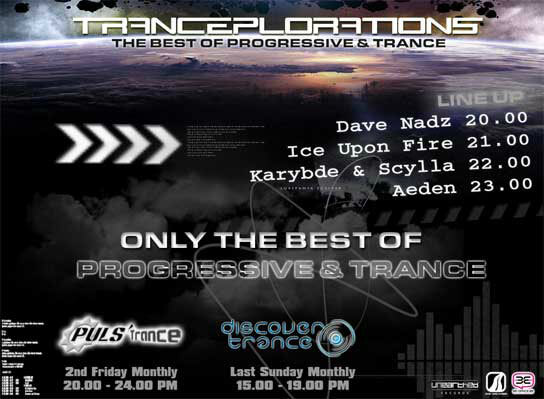 Did you missed the live broadcast of the last episode of Tranceplorations?? Hum to bad but hey there is the podcast, check this out ! Hybrid Theory 018 received so many great feedbacks during the first broadcast that i invite you to dont miss this monday's stream on http://tranceradio.fm/ 18:00 CET. Get ready for beautiful progressive trance, great vocals, banging uplifting tracks and as usual dont forget to check this website if you want to get the podcast, downloads and the tracklist. I'm sorry about the delay, things have been crazy lately but the Hybrid Theory 017 podcast is now online. So if you missed the live broadcast you can now catchup, enjoy it, love it, share it ! I couldn't tuned in live last week to spread the live tracklist and tchat with you on the tranceplorations facebook's group. But here i am back from holidays, i received great feedbacks about this episode so if you missed it dont hesitate to check out the podcast. Also, as usual if you have any request or promo you want me to play please send me an email. This is the last episode of "Hybrid Theory". Miss it or want a replay? Check the mixcloud / soundcloud stream or get the download link at the bottom of this page. Enjoy. There'll be no brodcast of "Hybrid Theory 013" this month on trance.fm because of a twist schedule so the podcast is already online. Catch up this banging episode with Simon Patterson, Andy Tau, Will Atkinson, A.R.D.I, Jame Dymond, Sam Jone & Will Rees and many more.